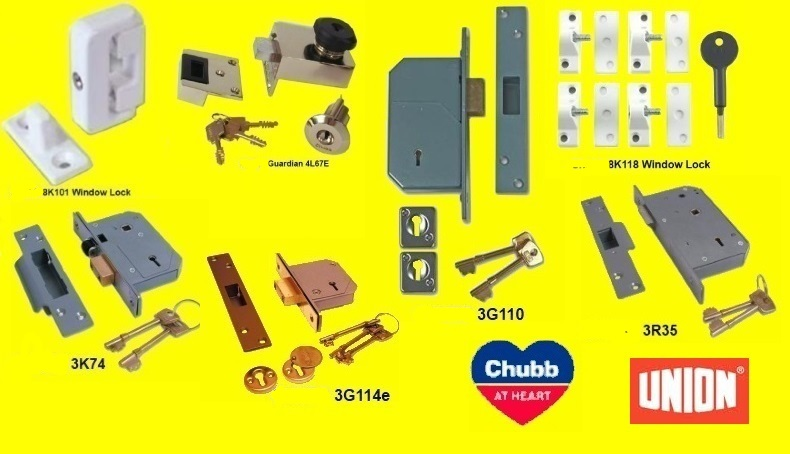 Do you live in the North West London or surrounding areas and need a Chubb NW Lock Fitter, Opened, Replaced or simply to Buy? 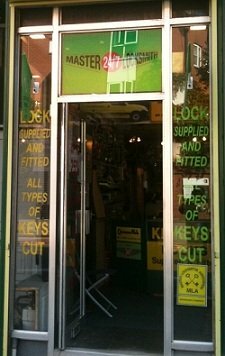 North London Locksmiths Ltd. for all makes and types of Locks to be Fitted, Replaced, Opened or sold. Telephone our office on 0208 800 6041 to book an appointment, or visit our shop, our friendly Locksmith Team will offer any advice required. We are an established registered Company and are Company Members of The Master Locksmith Association. The Number "ONE" Chubb NW Lock Fitting Service. Our Carpenters and Locksmiths are available to supply and fit any lock you require, whether it is a standard latch lock or a more complicated lock. WE OFFER A FAST RELIABLE SERVICE AS WELL AS OUR NO QUIBBLE GUARANTEE ON ALL NEW COMPLETE LOCKS FITTED. OUR CHUBB NW LOCK FITTERS. SUPPLY AND FIT ALL TYPES OF LOCKS INCLUDING WINDOW LOCKS, DOOR LOCKS AND UPVC LOCKS. Did you know that some of these products have changed there name branding? They are the same locks but due to licensing difficulties a lot of the main domestic deadlocks and window locks are being branded under the Union branding. The good news is these locks have not lost their security value, they are still the same security lock, and we have become used to over the years. Here at our base in North London, 79 Grand Parade, Green Lanes, N4 1DX, where we have been for the past 35 years, you are still able to have the Lock Fitted, Opened (when keys are lost or misplaced) or Purchased. The Number "ONE" Chubb NW Lock Fitters of North London. There are a large range of the branded Union Lock and we will always try and sell at the best prices through our WEB SHOP We also try and offer the fairest outside Locksmith costs, both during the day and on our 24 HOUR LOCKSMITH SERVICE. At our TRADITIONAL LOCKSMITH SHOP, our Locksmiths can replace the Detainers in your Union 3G110, 3R35 plus all detainer locks saving you many pounds on buying a new lock. As well as changing the Detainer levers we can also change the Levers in the Union 3G114 range of locks. Whats more we can cut keys for all of these locks. At our shop we sell all leading brands and lesser known brands of locks, as well as making keys for locks where the keys have been stolen or misplaced, this includes making keys to ignitions where the keys are lost. We also specialise in the replacing, and repairing of UPVC LOCKS. IF YOU WOULD LIKE AN ESTIMATE ON ANY OF THE LOCKS MENTIONED, OR FOR ANY OTHER SECURITY LOCK WORK WE UNDERTAKE, PLEASE CLICK ON THE LINK, AT THE BOTTOM OF PAGE, TO GO TO OUR ESTIMATE PAGE. Maybe you would like some advice on a lock or other security matter, please feel free to telephone our office on 0208 800 6041 and a member of our team will be happy to help you.